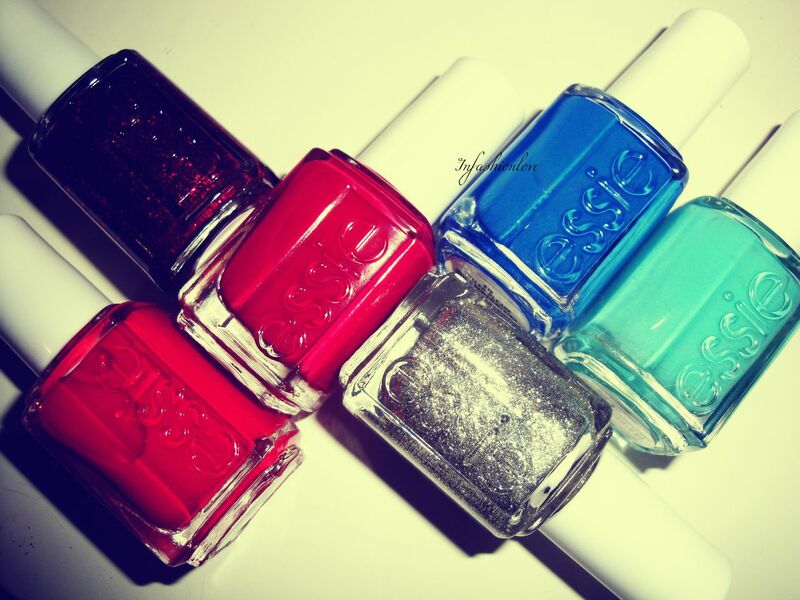 INFASHIONLOVE.COM: Gift Guide: Essie Winter 2012 Collection!! Snap Happy; Leading Lady; She's Pampered; Beyond Cozy; Butler Please; Where's My Chauffeur? Snap Happy; Leading Lady; She's Pampered; Butler Please; Where's My Chauffeur; Beyond Cozy? Snap Happy - "Voulez-vous get a lot of attention? Eye-popping vermillion is impossible to deny. With just one snap of her fingers, this color gets her noticed." Leading Lady - "Twinkle, twinkle major major star. Rule the red carpet and land the coveted role in glittering high-wattage crimson." She's Pampered - "To the victor go the spoils. Work hard and treat yourself like a VIP with outrageously luxurious scarlet." 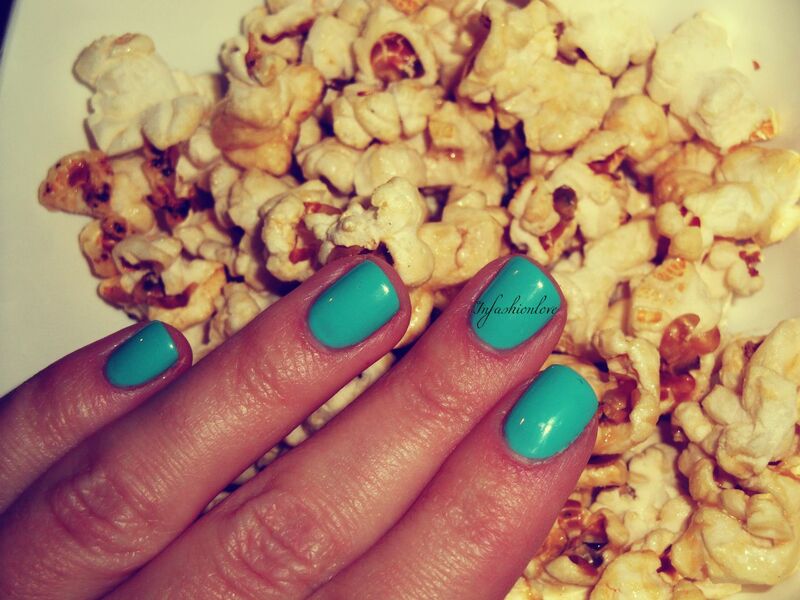 gorgeous turquoise that never fails to drive them wild." Beyond Cozy - "To get a little closer, don't be shy. Invest in golden sparkle power that gives a new meaning to legal tender." 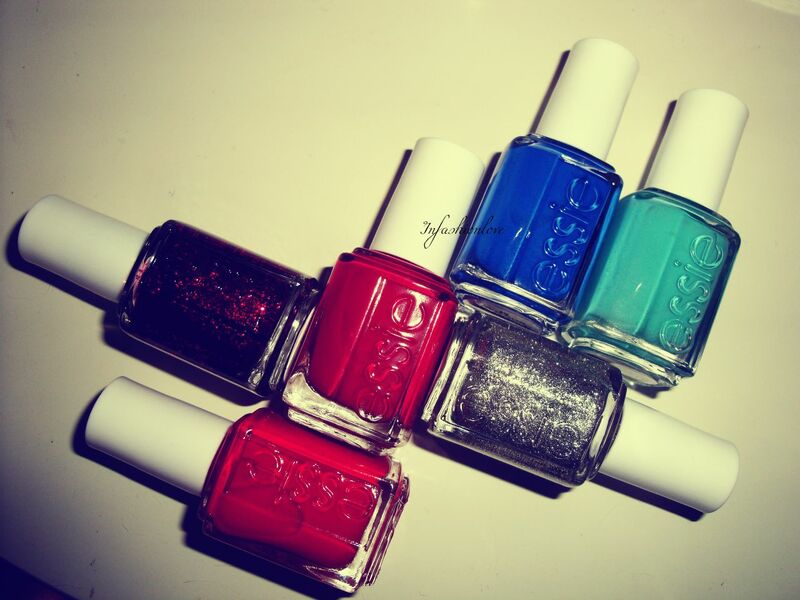 Essie Winter 2012 Collection - Where's My Chauffeur? and my mouth-watering a/w food addiction - Sweet & Salty Popcorn!! Welcome to Infashionlove Gift Guide! For the next few weeks I will be featuring gift ideas, stocking fillers, inspiring make-up and nail looks and everything festive! I hope you are already as excited about Christmas as I am, or at least getting there! 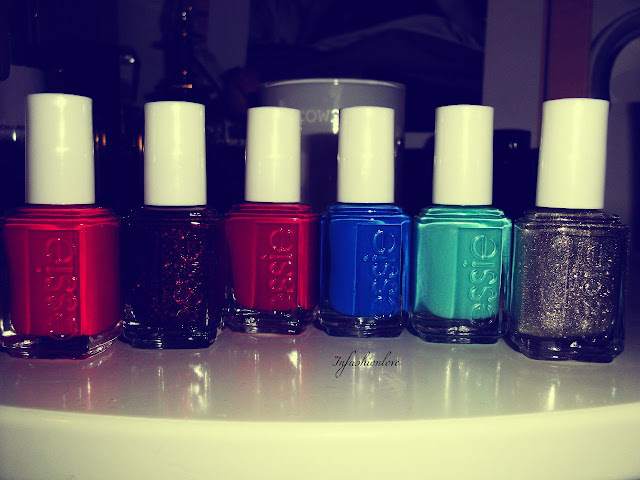 After much consideration I decided to start my Gift Guide with the Essie Winter 2012 Collection! So I'd love to share this collection with you before it even hits the shops, yay! It will be available in salons and on the high street in November... I was so excited to receive the entire collection especially because it was the first collection where I adored every single colour... The colour palette is just so uplifting, these nail polishes are super saturated! Two reds, two glitters and to fun shades... I decided before I get to paint my nails in all of the colours to show you the swatches, to share this collection with you already as I feel like a kid in a candy store, super excited... So here it goes!